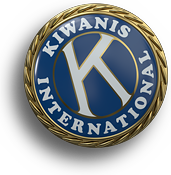 The Kiwanis Foundation of Canada Inc., resulted from a challenge made to Kiwanis Canada by Past International Vice President Mel Osborne of the East York (Toronto) Kiwanis Club. 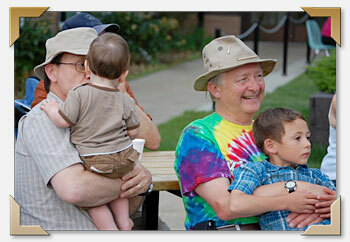 Mel was sure that a National foundation would unite, strengthen Kiwanis and increase membership in all of Canada. Mel had served with distinction as a Governor of the Ontario-Quebec-Maritime District in 1953, International Trustee from 1960-64 and as International Vice-President during 1964-65. Early in 1965, Mel suffered a heart attack and retired from the International board. In 1966, he was appointed to the Board of Trustees of the Kiwanis International Foundation where he served until 1970. Mel's experience on the International Foundation Board persuaded him to recommend that Kiwanis Clubs in Canada should form a Canadian Foundation to promote the work of Kiwanis on a national scale in Canada. Kiwanians supported the plan and it was approved. Mel called upon a number of distinguished Kiwanians to assist him in the formation of the Canadian Foundation. Past Governors and International Officers from across Canada, including Ralph D. Steele, QC; Clifford P. Wyman; Laurent Girouard; Jack P. Delf, Jack E. Willis; and Walter H. Howell, QC played key roles. The Government of Canada granted the Charter for the Kiwanis Foundation of Canada Incorporated on the 27th,of July 1973.